Malpaso Dance Company is a contemporary dance company based in Havana, Cuba. The company brings heat to the Prince Theater with energetic dancers trained at Cuba’s national dance schools. They opened their program with a piece from 2013, 24 Hours and a Dog. Choreographed by Osnel Delgado in collaboration with the dancers, it consists of seven short pieces: 1. Overture: 24 hours in a Dog’s Life, 2. Ceviche/Walking the Dog, 3. El Sur/Work in the Studio, 4. Almendra/Lunch Time, 5. Tintal Tintal Deo/ Chased by a Dog, 6. She Goes Through the Fair/ Daydream (Duet), 7. Tanguango/G Street (Finale). The dancers are dressed in jazz shoes and simple costumes—the male dancers in slacks and shirts, the female dancers in fitted T-shirt/leotard with simple skirts or fit-and-flare dresses, like a dance student would wear. The dance style is more jazz and hip-hop than Latin, with a little bit of ballet and an added twist of salsa steps. The dancers’ movements are smooth, reminiscent of the Chinese martial art Taijiquan or Capoeira. 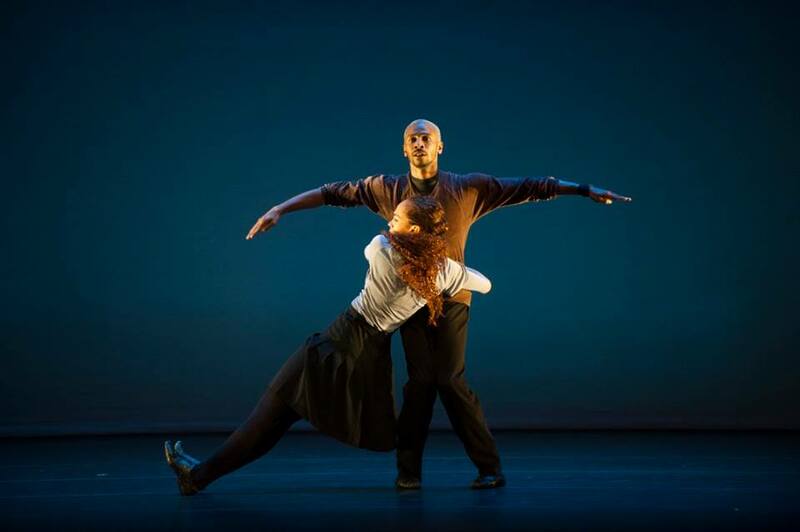 The second piece of their program, Why You Follow, was choreographed by Brooklyn native Ronald K. Brown. Brown introduces insights into the human condition and refers to numerous cultural sources, including modern and urban dance movements and dance forms from Latin America, the Caribbean, and Africa. Again the dancers wear simple and casual costumes, as if they are attending a dance or fitness class. Their naked feet tap the stage floors like in a folk dance, without the force of a tap dance or the heaviness of flamenco, but gently yet strongly, feeling the power back from the ground. The choreography is mix of dance styles; this piece shows more Cuban and Afro-American folklore dance movements along with steps of hip-hop and jazz dances. In both dances, the dancers are indefatigable, accelerating and intensifying to the upbeat music from the beginning to the end. Both choreographies have the character of dance classes at studios or dance parties—it is as if the audience is robbed of the opportunity to join and dance together instead of sitting back and watching. Still, we can’t help but be impressed that the dancers never run out of their stamina during the full hour of non-stop dancing and keep their sharpness and enthusiasm throughout.